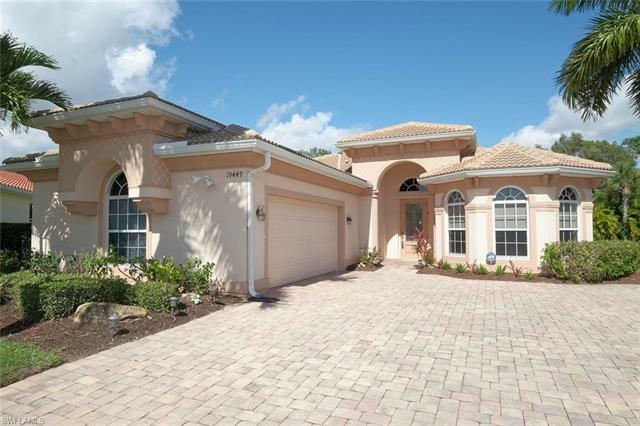 Belle Lago is a private, gated community with luxurious single-family estate and villa homes. Spacious one and two-story home designs range in size from 2,100 to 4,200 square feet. Amenities at Belle Lago include an 8,000 sq. ft. Grand Clubhouse with a resort-style heated pool and spa, four Har-tru clay tennis courts, half-court basketball, fitness center, gated children's wading pool & play area, billiards room with TV, card/liibrary room, large event room and catering kitchen, and conference room/media room. Belle Lago is just 15 minutes from SWFL Int'l. Airport, as well as being close to the finest beaches and golf courses.